I LOVE that your site saves my links so I don't have to re-do it all! 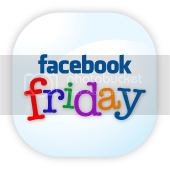 Thanks for hosting I follow on GFC, Twitter and FB have a great weekend. 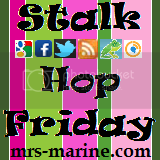 I look forward to your blog hop every week :) Make sure youu check out my permanent blog hop where you can go blog hopping anytime! I have one too if you would like to add it. Thanks for hosting. new follower here. 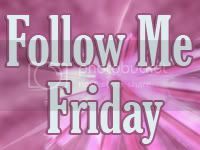 Hi, I am a new follower and am following through GFC. My link isn't up yet b/c my post isn't up yet but it will be shortly. You can find me at http://www.yestheyrallmine.com! Thanks for hosting! 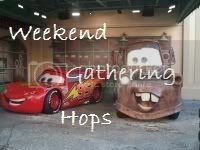 Joined the hop & am your newest follower! Thanks for hosting. I'll be following along. It's nice to meet another Aspie mom and share stories on our journey. Happy Friday. I hope you have a lovely weekend. Please stop by my blog I'm having a great giveaway. Hugs! new follower. I too have a kiddo on the spectrum and my hubby is a former marine. Hi, thank you for hosting.. 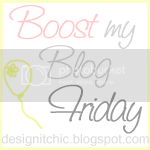 I'm linking up with you for Friday!